Check BHL to be sure that the item has not already been scanned. We can only scan what we are legally allowed to scan. Ensure that a BHL Partner Institution holds the item. 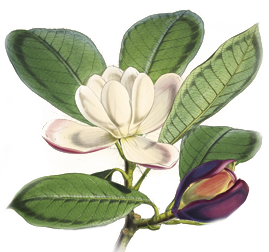 The Biodiversity Heritage Library welcomes suggestions for items to be scanned and included in the BHL corpus. We depend on our users to identify gaps in our collections, and to suggest useful titles for inclusion. If we receive multiple requests from different, unaffiliated users for the same item, we will try to prioritize that item as possible. This page outlines some helpful tips that will expedite the scanning request process. Have you looked for the Journal that the article was published in? You might also try alternate spellings and other languages, or searching on only the first few words of the title. Please consult our page on searching techniques, Search Help, for further assistance. If you do find the title that you were looking for, but not the specific volume, please send us a link to the journal in BHL to help us fill all remaining gaps (and ensure that any additional scans are added to the correct record). Please note that BHL can only digitize items published prior to the year 1923, unless we have specific permission from the copyright holder to digitize the content (or the title is a US government publication). You can help the BHL provide digital access to in-copyright materials by connecting us with copyright holders and encouraging them to sign a permissions agreement with us. For more information, please see our sections on Permissions and Copyright and Reuse. For further information, please see this information guide: https://copyright.cornell.edu/resources/publicdomain.cfm. To submit a scan request, please use our Scanning Request Form. Keeping the following points in mind, and providing as much information as you can, can exponentially increase the speed with which we are able to process your scanning request. The more information you give us about your request, the more likely we will be able to correctly identify it. The easiest way to get as much bibliographically-correct information as possible about a title you are requesting is to first find the title in a bibliographic search engine, such as WorldCat. Because citations vary and your information may differ from that held in our catalog, using bibliographic information from Worldcat increases the likelihood that we will scan the same item you are requesting. To find your item in WorldCat enter your search criteria (such as title) in the search box. Advanced Search options are available. All of this information can be found on a WorldCat page for a title and will dramatically speed up processing time. Our ability to scan requests is limited to the collections of our BHL partner institutions. To quickly determine whether or not we hold an item you want to request, check the list of institutions in WorldCat for the item you are requesting. We are currently only able to scan items from our US and UK Partner Institutions. For a list of all BHL partner institutions, please see our BHL Consortium page. You will most likely see that an item you search for in WorldCat will have more than one entry. Check each one until you find that one of our scanning institutions holds that item. If you do not find a listing for one of our US/UK Institutions, we will not be able to scan this item. If you find a BHL partner that owns the title you desire, be sure to enter the OCLC number found on that search result page in your request form. Please list which BHL partner institution(s) own(s) the item in the “Notes” field. Generally speaking, you will not be notified when your request is complete. The lag time between scanning and online availability, and the sheer number of requests that BHL receives, makes such notification impractical. 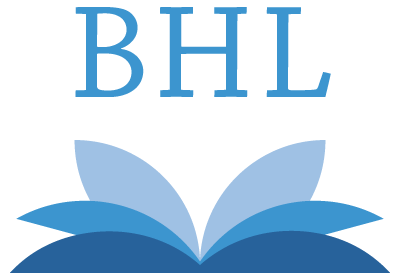 To receive notification when your request is available online, subscribe to our RSS feed of Recent Additions to BHL, which lists all of the recent additions to BHL. When your request is added to BHL, it will be displayed there. We are unable to provide a timetable for when you might expect to see your request online. Many different factors, such as the condition, location, or rarity of the item requested, contribute to the speed with which we can fulfill a request. A scan request can take anywhere from weeks to years! However, the more information you provide to us in your request form, the quicker the request can be processed. Once processed, your item is either added to the queue for scanning, or you will be notified that we are unable to fulfill your request. You will be notified if your item cannot be scanned for BHL. We retain the requests that we are unable to fulfill, and look through this list whenever a new institution joins the BHL consortium. Sometimes a new partner institution is able to scan an item that we were previously unable to scan. If you have any questions, please contact us using our Feedback form, available on BHL. A Biodiversity Heritage Library staff member will contact you as quickly as possible to answer your questions. Again, to submit a scan request, please use our Scanning Request Form.